The day after several crushing, albeit expected, defeats for Ted Cruz in several Eastern state primaries, attention turns to Indiana's pivotal May 3rd primary. With that change in direction comes the news that Ted Cruz has selected Hewlett-Packard executive and former presidential candidate Carly Fiorina to be his running mate. the worst.) She came across as extremely knowledgeable on the issues and articulate in presenting her position on those issues. Where Fiorina's campaign failed was in execution between the candidate's TV appearances. With that announcement, Ted Cruz hits a home run. The move is brilliant in so many ways. First it comes at a perfect time. Cruz needs to change the narrative after Trump's blowout blue state primary wins out East. Cruz could have killed the story by releasing it before Tuesday's round of primaries. But he wisely waited until afterward...when the focus turned to Indiana, the state in which Cruz desperately needs to get his groove back. Second, Fiorina brings a burst of energy to a campaign that had begun to lag in enthusiasm. 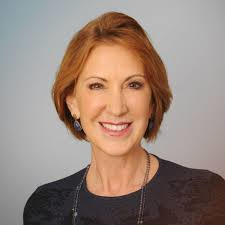 Third, just as Fiorina was at her best in going after Hillary Clinton, she will play the perfect foil to Donald Trump. Fiorina is considerably brighter than Trump, much more knowledgeable about the issues, and would destroy Trump in any sort of intellectual exchange. She is at her best when on attack which she will no doubt be called to do so against Trump. Fourth, the Fiorina selection exploits Trump's weakness with women. As one political analyst noted, while it is debatable whether Trump is a racist, there is positively no doubt Donald Trump is a sexist. He judges the value of women based on their looks and infamously noted that he found Fiorina's face to be unappealing. I'm sure that Fiorina will remind Hoosier women of Trump's comment. Fifth, Fiorina can help out Cruz in California, a state he must do better in if he is going to deny Trump a first round nomination. Fiorina ran for Senate in California in 2010. While Fiorina did not win (not surprising since she is a Republican running in one of the most liberal states in the union) she no doubt has considerable GOP contacts and support remaining in that state. Cruz will desperately need those contracts and support given that his campaign is lagging in Califorina, a state the Texas Senator must do well in if Trump is going to be denied a first round victory. Cruz is far from getting momentum back. But his selection of Fiorina is certainly a step in the right direction. Yes, the timing was impeccable. Plus, she will probably force Trump to commit some sort of gaffe between now & Tuesday, given how easily he goes off-message. Are you one of the "real Republicans" who support the liberal, big government Donald Trump for President? The same Donald Trump who said he is "very pro choice" and supports partial birth abortion and who wants an expansion of Obamacare so it is universal health care that is paid for by "the government?" The same Donald Trump who only became a Republican in 2012? That same Donald Trump who gave tens of thousands of dollars to Hillary Clinton and Nancy Pelosi and who praised them as great leaders? Fiorina is an excellent choice! I had enough of Republicans, real or otherwise, from 2000-2006, when they controlled everything and proved they are as corrupt as the Democrats.